Weather aside, I’m having a cracking time being back in W4. Love it. To be honest, I’d forgotten what diversity was like. Down in Brighton it’s kind of one pigeon fits all. 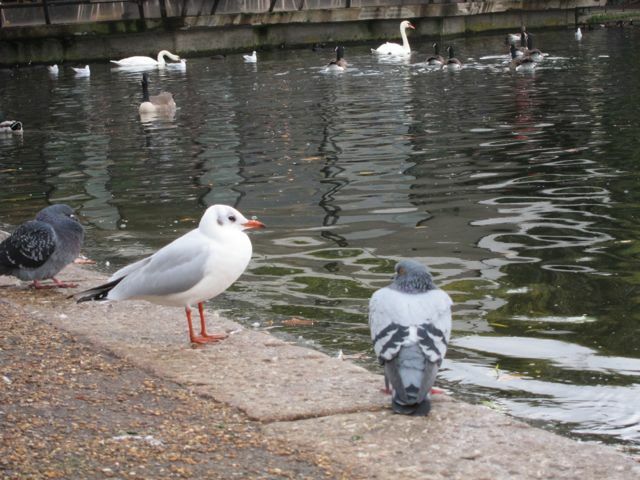 In London we’re talking pigeons of all shapes and sizes, literally. From the fat posh ones in Kensington to the nut jobs in Brixton to the pigeon literati in Shoreditch. As a result, no two pigeons are the same, and thankfully the conversation often flows beyond food, seagulls and the weather. That said, I did get talking to Geoff the other day about the reason why seagulls get so much airtime in Brighton. It’s because there are bloody millions of them. Everywhere you turn there’s a seagull screaming in your face. Anyway, he started to tell me about Rupert Duffet. Genius. Duffet is a seagull who’s recently flown over from Calais and keeps popping up all over London trying to ‘educate’ pigeons on the upsides of the seagull. WTF? As I got nearer, I realised why there was only one pigeon listening. Duffet was mainly speaking French. 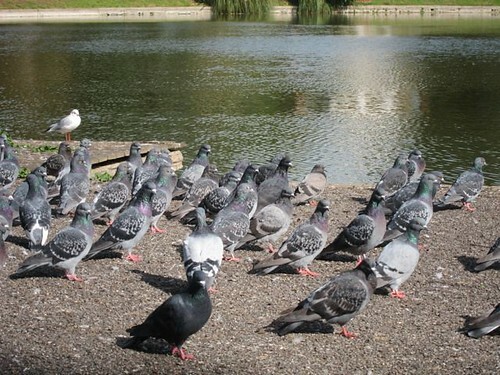 Speaking French to a bunch of pigeons from West London was never going to go down well. I asked the one that seemed to be listening if he understood what Duffet was saying. “Mais, oui.” He said. “Je suis Jean-Philippe.” Not wanting to extend the conversation any further, I simply asked him if he knew when Duffet was speaking next. Duffet was friendly enough and happy to chat. A little too friendly I thought when he came in for a cheek kiss. It’s what they do in France, apparently. For a start, it turns out his name isn’t Duffet like bucket, it’s pronounced something more like doufflé. FFS. It wasn’t a good start. Frankly, overall he just sounded like a total rambling nutter, and probably is. As I only understood one word in every five, and three of them were ‘seagulls’, ‘pigeons’ and ‘sharing’, I switched off pretty early on. My advice to you, Rupert Duffet, is learn at least a smattering of English if you’re going to go about defending the gulls. That said, I’m pretty sure he won’t be coming back any time soon. hey .. I had a weird question to ask.. thing is .. at times I have to physically hold my birds and place them in their shed.. because.. being birds.. they prefer to roam around the house instead of taking a couple of moments rest in the shed.. I was asking if on such an occasion .. I hold the female pigeon and shove her into the nest..
is there any chance for me to damage the eggs in her belly ? And I’m sorry if my comment is just blaring full of technical errors on pigeon.. you see this is just my 6th month with my pigeons.. also out of like the 15 eggs laid by the pigeons.. only one had hatched.. some of them got destroyed physically.. either by the pigeons accidentally pushing them out or by applying too much pressure on them.. but I am concerned about the remaining .. we brought straw for them so as to ensure their eggs are warm and properly taken care of.. but if you can suggest any other method to ensure the safety of the eggs.. it’d be great too..
December 1, 2015 at 6:43 am. Permalink.